Évreux is a town in the Department of the Eure about 115 kilometres north-west of Paris. 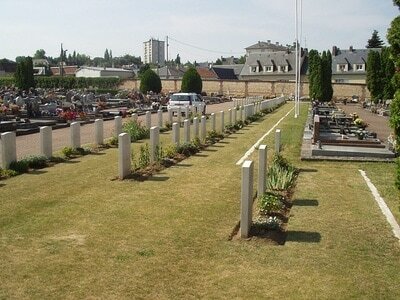 The Communal Cemetery is in the south-eastern part of the town and north of the old road to Mantes and Paris. From the station, take the Bd Gambetta, then Rue de la Resistance. When you reach the crossroads take Rue F D Roosevelt, Av Winston Churchill and then Rue Delattre de Tassigny where the cemetery will be found. 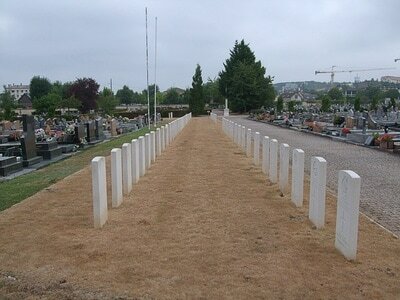 The Commonwealth war graves plot is on the right hand side of the cemetery.